Snowy Evanston is a far cry from the memories Emad Tayefeh has of the bustling district of Sadeghieh in Tehran. He describes his childhood neighborhood as full of farms and gardens when it was first created after Iran’s Revolution, which took place from 1978 to 1979. Tayefeh was born seven years after the revolution. People didn’t have homes after the revolution, “so the government gave them some land to build their house,” said Tayefeh. Most of his neighbors were connected to the government in some way. Before moving to Illinois, he lived in New York City for a year. Tayefeh still doesn’t like cold weather. 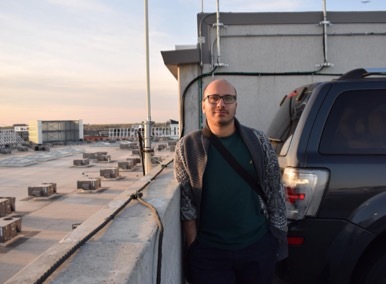 The now 32-year-old filmmaker fled his native Iran in September 2015 after his work on the film Public Enemies caught the ire of the Iranian government. The film takes a look at famous imprisoned Iranian activists, victims of the Iranian government since the revolution and explores Tayefeh’s experiences as he became politically active. His personal awakening came when his support for the Iranian Revolution was challenged after meeting people with different viewpoints. Soon, he was attending protests and joined the Green Movement. The Green Movement was born out of the flurry of protests after the 2009 re-election of Mahmoud Ahmadinejad. “That time we believed we could change it, and actually we couldn’t,” Tayefeh said of the situation in Iran when he was a newcomer to political activism. He was jailed for his political involvement numerous times. He discontinued filming. Each time he was released from jail, he tried to maintain a low profile. “Sometimes it’s possible, sometimes it wasn’t possible,” he said. In total he spent two years imprisoned. “For two or three years, I tried to fool myself that nothing happened, nothing was going to happen. The people that died, you know, it’s not my business,” Tayefeh said. After that time, he felt himself drawn to being politically active again. Though, he was reluctant to re-start filming, “I wanted to do something, keep filming was one of those,” he said. Attending protests and filmmaking were part of his re-entry onto the political scene. It was difficult for Tayefeh to continue filming while under the Iranian government’s watchful eye. In 2015 when he decided to leave Iran because of the danger he faced, he told his parents, who were supportive of his decision. While fleeing, he walked and sometimes hitchhiked his way from Tehran to the Turkish border. Along the way he met locals, tourists, police, Revolutionary Guards and an Afghani family of seven at the border between Iran and Turkey. The Afghani family wanted to make it to Europe and was attempting to pass into Turkey with falsified Iranian passports. The family’s journey was longer than his – about the distance of walking from New York to Indiana to Colorado and into Canada. They did not speak Farsi like an Iranian would or look Iranian, Tayefeh said. He did not want to crush their spirits by telling them their plan would probably not work. “It’s kind of stupid but I just saw the hope that they had,” he said. He said people like them kept him going on his two-month journey to the Turkish border. Once he made it to the Turkish border, he bribed officials to let him into the country. He had to. Money cobbled from his own funds and some supplied from the Freedom House, an organization headquartered in D.C. that works globally to uphold freedom, ensured his entry into Turkey. He spent one year in Istanbul and then came to the U.S. in 2016. The Iranian Revolution heightened the migration of Iranian immigrants to the U.S. Around 330,000 Iranians have emigrated to the U.S. from the time of the revolution to 2006. Comparatively, 34,000 Iranians had come to the U.S. in the mid-1950s. The majority of those who left in the ‘50s were college students who were studying abroad in the U.S. Those leaving after the revolution were fleeing an Iran that had been taken over by the exiled Ayatollah Khomeini who began a dictatorship-like rule. Previously, Iran had been ruled by the Shah Reza Pahlavi, whose leadership was supported by the U.S. government. Both diasporas are affected by the Trump administration’s travel ban policies on them and their families in Iran, though most have been dealing with family separation for their entire lives. The New York Times captured the dilemma for Iranian couples whose separation has defined their marriages. Tayefeh came to the U.S. on humanitarian parole status. This status allows someone “who is otherwise inadmissible, [to enter] into the United States for a temporary period of time due to a compelling emergency,” according to the U.S. Citizenship and Immigration Services’ (ICE’s) website. Tayefeh said he was allowed to stay in the United States for six months on that basis. In New York, he searched for a lawyer to help him declare asylum so he could stay longer. Finally, he found one. On a Saturday morning in late Jan. 2017, President Trump took the world by surprise when he issued an executive order that barred those with citizenship from Iraq, Iran, Syria, Yemen, Libya, Sudan and Somalia from entering the U.S. for 90 days. It also indefinitely suspended Syrian refugees from entering the country and paused the U.S. refugee resettlement program for 120 days. Since January, Trump has released two more iterations of the ban and has added more countries such as Chad, North Korea and Venezuelan government officials. People like Tayefeh have been essentially forced to stay in the U.S. because of the ban – they are unable to leave the country as they risk not being let back in and unable to have their family members from the restricted countries visit. Even if Tayefeh obtained an exemption to re-enter the U.S., Tayefeh can’t return to Iran. The danger there hasn’t abated. Like Tayefeh, Shadi Sherafat grew up in Tehran. and lives in the U.S. Unlike Tayefeh, she holds dual citizenship from Iran and Australia. On paper, Sherafat is exempt from Trump administration’s travel ban because of her dual citizenship. But this doesn’t mean she wants to risk leaving the states. 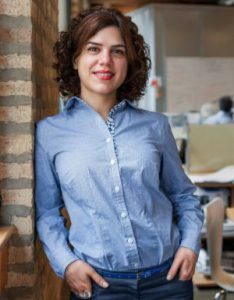 When the first executive order concerning the travel ban came out in January, Sherafat was planning a vacation from Chicago, where she works at a engineering company, to Australia to visit friends. The travel ban put a halt to that. 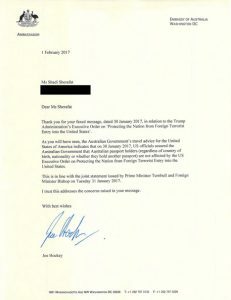 Sherafat wrote to Australia’s Ambassador to the U.S. Joe Hockey on Jan. 30, 2017, three days after the January travel ban was released. 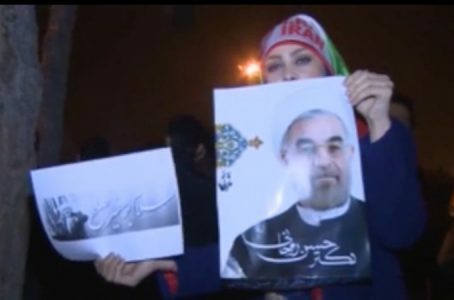 In her message, she urged Hockey to protect people like her – Iranian-Australian dual citizens. Today, I am writing you to demand your assistance regarding my plight as an Australian citizen in the United States of America. We Iranian-Australians have always been contributing and law-abiding citizens of the great nation of Australia. Now, due to the new American administration’s executive order, my rights as an Australian national in the US are profoundly threatened. I am banned from being granted a visa to the US, banned from entering the US on previously issued visas, and banned from returning to my life in the US should I leave the country to visit my family in Australia. This runs counter to Australian values, values I hold dear, and the very values that inspired me to proudly become an Australian citizen. American allies Britain and Canada have petitioned the Trump administration, demanding protections for their dual nationals. As you are my ambassador to the US, I need your help in protecting me as the British and Canadian ambassadors have protected their citizens. During my citizenship application process, I underwent a background check by the Australian Security Intelligence Organization (ASIO). The 18 month investigation accomplished precisely what President Trump is seeking to accomplish with his proposed “extreme vetting”: a thorough, reliable, extensive vetting process for determining if there exist any security-related concerns pertaining to an immigrant. I implore you to communicate to the Trump administration that you fully vouch for the quality of ASIO’s vetting process in keeping the Australian people safe from terrorists and other security threats, and therefore, you stand by the results of ASIO’s security assessment, that I pose “no security related concerns.” And consequently, the Trump administration should exempt Iranian-Australian dual citizens like me from the recent executive order concerning visas. My future depends on you. Sherafat received a response back from Hockey on Feb. 1, 2017. In his letter, he notified Sherafat that U.S. officials had assured the Australian government that Australian passport holders are exempt from the executive order. Letter from Australia’s Ambassador to the U.S. informing Sherafat that President Trump’s initial executive order on travel would not affect Australians traveling to and from the U.S., no matter where they were born. The lawyers warned her of the possibility of a new executive order that could contradict the one exempting dual Australian citizens. Sherafat is concerned too. She knows the reality of the vetting process for Iranians looking to travel to the U.S.; it’s always been an uncertain process as the history between the U.S. and Iran has been unstable for years, even before the U.S. Embassy hostage crisis that took place for for 444 days from 1979 to 1981. Sherafat has not seen her parents in one year and a half. She is working to get them a visa to come to the U.S., but says “their visa is now in bureaucratic limbo.” Her parents are not dual citizens. They hold only Iranian citizenship. The American embassy in Cyprus, where her parents have gone to try to obtain a visa to the U.S., has said they can’t tell how long the visa process will take, as it is all dependent on political affairs in Washington, D.C.
“From what I hear from others, it can take three months, it can take nine months, it can never happen,” she said, referring to friends who are also attempting to get American visas for their family in Iran. Although Sherafat doesn’t want to risk leaving the United States, she says she will, if too much time passes without seeing her parents. The relationship between the U.S. and Iran has a storied and tortured history, with people caught in the crosshairs. Tayefeh and Sherafat and their families continue to be held captive.